With today’s ever changing technology, it is critical to constantly evolve and upgrade technology options to prepare students for the digital world they face. 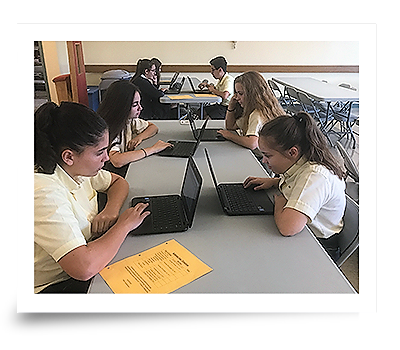 Our school strives to provide current technological resources, giving students the tools they will need as they embark on their bright futures. 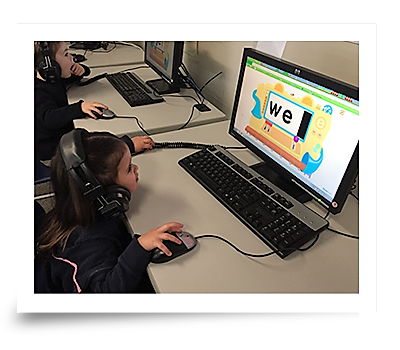 We comply with technology standards adopted by the Diocese of Fall River and the State of Massachusetts as a basis for curriculum. We have structured our curriculum to meet and exceed in those standards. Our students have access to a recently updated, state-of-the-art computer lab. 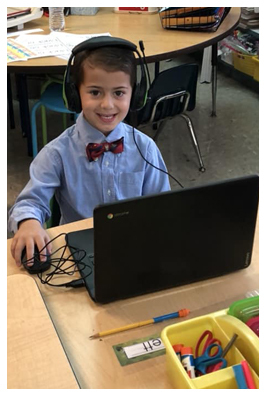 Students take weekly computer classes where they each have access to their own workstations equipped with audio devices to enhance the learning experience. The lab operates with high speed Internet access run in a secure environment protected by a strictly monitored firewall. Students may also be instructed on our lab’s high definition projector screen, where teachers may demonstrate lessons as the students work independently. Here at Holy Name School, we have 120 Chromebooks. We use them in our kindergarten to 8th grade classrooms. The students use them for many classroom assignments including in our middle school for our new math program. 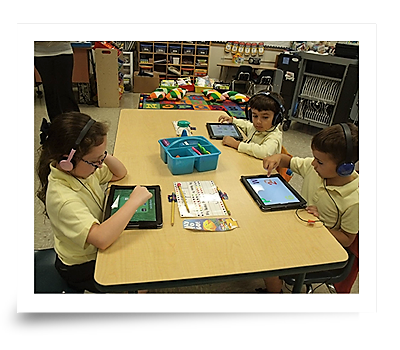 Several classrooms participate in Holy Name School's Apple iPad program. Using applications unique to that device and taking advantage of the intuitive touch-screen interface featured exclusively on tablets, teachers can instruct students with an entirely new scope of projects. 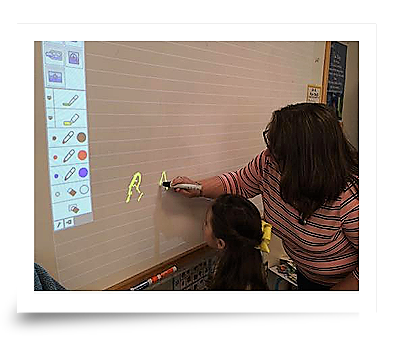 Here at Holy Name School, we use interactive white boards to reinforce visual learning while keeping children engaged in hands on experiences. This tool increases interactivity, making learning entertaining and enjoyable.